Ever felt let down? Disappointed ? The normal answer and reaction is yes, most have experienced these things. Most stress and strain over these things. No! Those that walk in the world, who's souls seem lost, go through a gamet of things. The difference in walking in the light and knowing Jesus , is forgiveness. God has done so since forever. 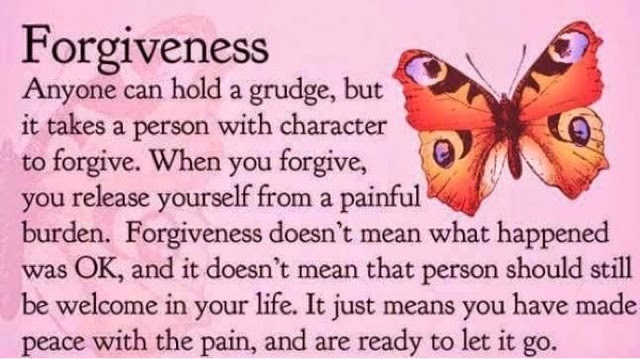 We need to practice forgiving as well.